21 of us turned out for a marvellous winter day’s walking. Eleven took the longer route at a faster pace. We parked at Dalligan Bridge – the colours on the drive in the Maum road were spectacular. 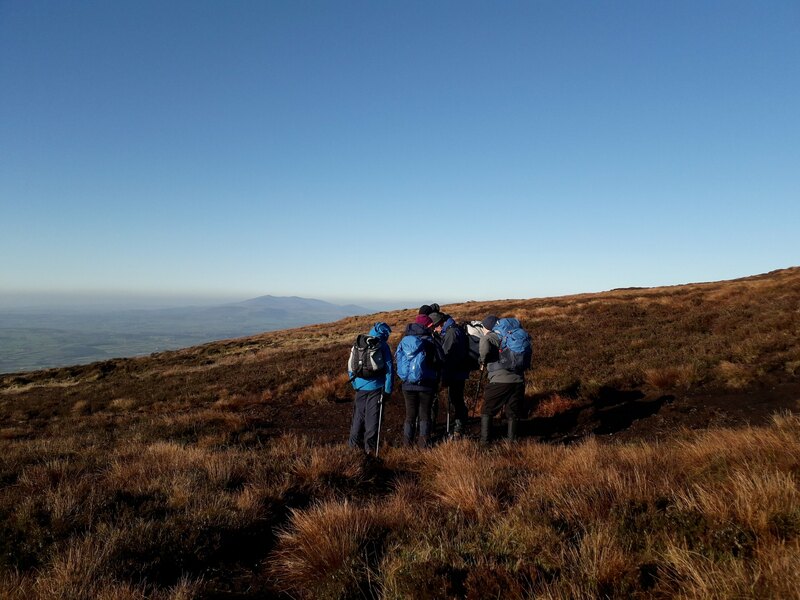 The sky was blue, the air crisp and clear and we were eager for the hills. 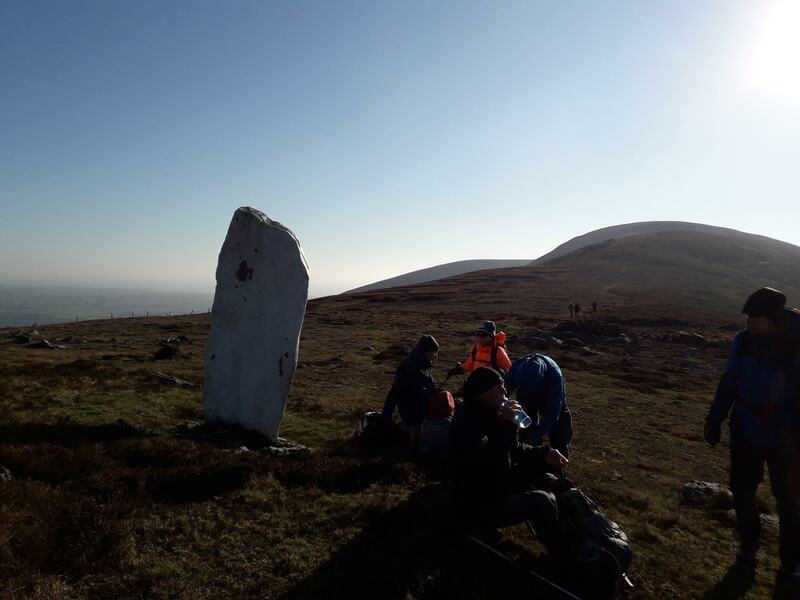 We passed in by the first standing stone and followed the path up to 617. The sea was shimmering in Dungarvan harbour and Helvic head framed the view. 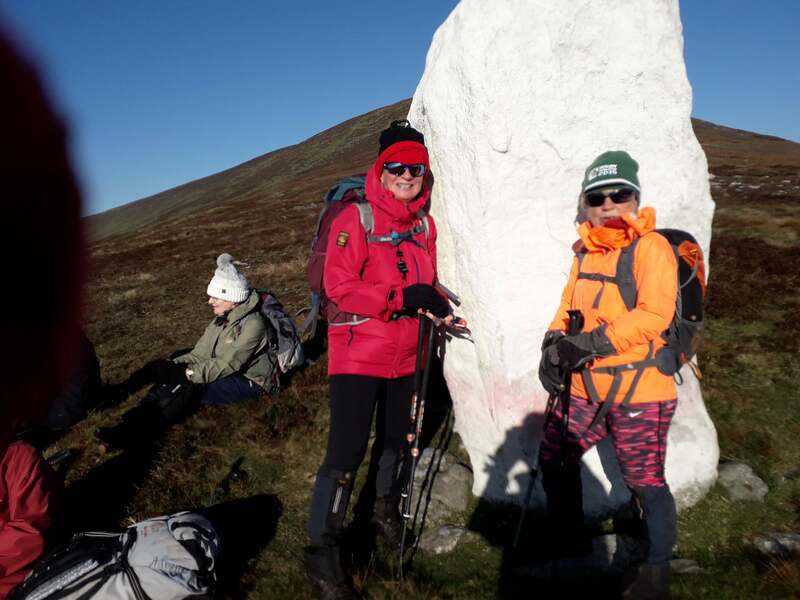 We admired the whitewashed standing stone at Bearna na Madra, then tackled the steep pull up to Seefin (Mullach Suí Finn) 726m. 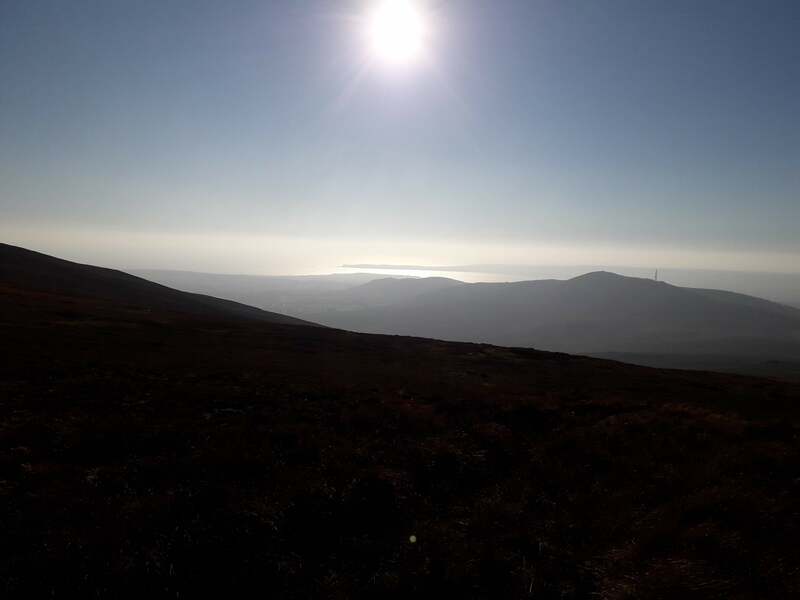 We had even better views here, over Crohaun to the sea and further off the Knockmealdowns and the Galtees. The wind was strong and sharp as we lunched behind the concrete hut near the summit, but we had the shelter of the Airglinn valley on the return. The sun was low in the sky as we finished the walk, bathing the hills in a pink glow. 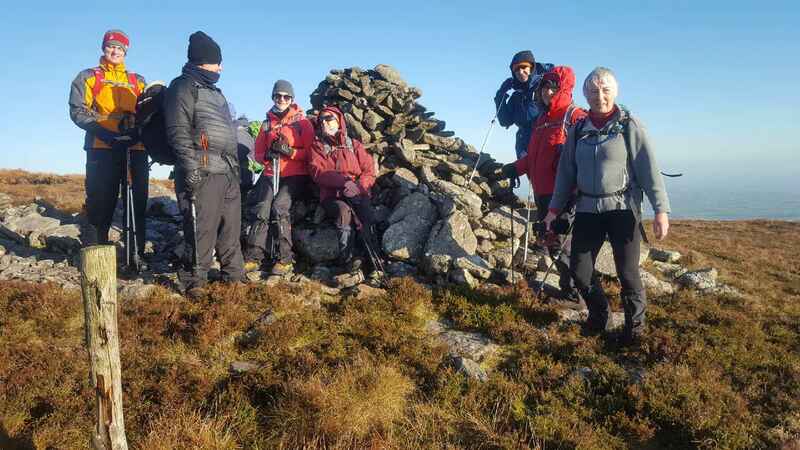 Ten of us took a more leisurely pace to 617, the Bearna na Madra gap and back to Farbreaga, before returning by the same route. Both groups retired to a local hostelry for refreshments afterwards. Lá iontach ar fad!